Lavieenrose Nov 10 2016 9:55 pm I'm so curious why you quit after eps. 40 in Good Person! tp Mar 08 2014 11:53 pm I really love you. Your acting is awesome! Patty Aug 18 2013 6:38 pm Yes! Jung Ae Ri is in Ruby Ring! Edge Feb 16 2013 12:08 am Very nice moment in (Good job,Good job) when she had an affair.. Haha.. It's sweet and if I were the man I will definitely not let her go. She is such an amiable person, I love to love that Jung ae ri in that series. pinky Sep 22 2012 8:26 am OMG! Jung Ae Ri was in the cast of Cant live without you, Episode 73,74,75, is really exciting... she was about to know who was her daughter! I really like her style in wardrobe, as well as her hairstyle. Her hairstyle now is like on her hairstyle in Women of the Sun. I love Jung Ae Ri. Max Young Lynn Aug 26 2012 1:56 am This is another wonderful actress, who keeps you glued to your seat. She and her daughter-in-law are my favorite characters. These two women can teach you something about ambition, greed, manipulation and execute it with such grace and style. Although, They are usually wrong, its about protecting their loved ones and what they really feel is entitled to them. I love the wardrobe style of this actress,she can wear anything. Pia Aug 11 2012 1:35 am Happy Birthday! God bless you. Stay pretty. Great Korean actress! jo May 09 2012 7:33 am Fantastic!!!! Just You has ended last friday and like YOU ARE MY DESTINY ending JUNG AE RI and the father of Unchan got married! To the director, cast, crew and staff CONGRATS! Patty Apr 09 2012 2:07 am @Tess> Jung Ae Ri and Sa Mi Ja are together in JUST YOU... still airing.I wish Jung Ae Ri will make a drama series with KIM JI SOO and LEE HA NA, I've been watched them in WOMEN OF THE SUN and they are really amazing there. jaja Apr 02 2012 9:48 pm Wow!!!! You have a new drama series again!!! WELCOME RAIN TO MY LIFE... You're really a great korean actress! I've been finished watching Fermentation Family, and still watching Just You. By the way, Smile Dong Hae is upcoming on GMA tv station here in the Philippines, I guess too many Filipino is looking forward on it. I've been excited too for you to see on tv using our Filipino laugauge but I' am proudly say I'm done watching Smile Dong Hae. Congrats Madam Jung Ae Ri! patty Dec 31 2011 5:37 pm Happy New Year Ms. Jung Ae Ri. patty Dec 25 2011 12:14 am Merry Christmas Ms JUNG AE RI... wish you won't stop making drama series. Just watching Fermentation Family.... still waitingan English Sub for JUST YOU... I love you MS JUNG AE RI. Sarah Dec 13 2011 9:04 pm Wow Jung Ae Ri's role is like in You are my destiny.... she's always cried here in Just You.... she's really great.... Oh my... wish I can meet you. 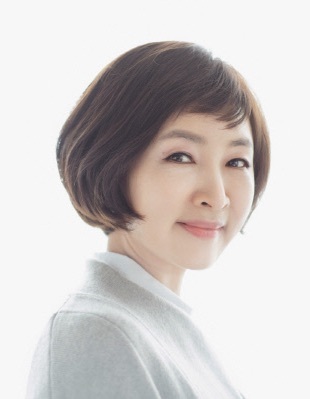 Saranghae Jung aE rI. pia Sep 08 2011 11:54 pm Hi Ms. Jung Ae Ri, you've been great in You're so pretty! Scene from episode 13-14 reminds me of you're great acting in TemptATION OF WIFE And You are my Destiny. Indeed, you're presence in drama series makes the drama more interesting to watch. Without you in the cast seems so boring thats why i only watched Korean Drama if you were in the cast.... hope to see you more in Korean Drama Series. I'm also looking forward in your new movie "Perfect City. Miu Miu May 20 2011 4:15 am You are fantastic as you give life to your role as Ms. Min, a very successful and reserved Salon owner. Your wardrobe complements the facial expression and gestures that you portrayed. You are indeed the excellent actress for that role and I congratulate you for your excellent acting! jau Mar 09 2011 9:59 pm I just love this show! Jeong Ae-Ri is such a sweetheart! catherine Feb 11 2011 7:41 am hi ms jung ae ri im super impress of your acting in lure of wife Iam looking forward for the movies youd made. wish i could watch them all !wish you good health so that you could make many more movies to watch by your fans all over the world stay healthy and pretty your such a good actress i wonder what your doing everyday behind the scenes your making. when i starts idolising you i want to have a haircut like yours . the way you dress your so beautyfull even at your age right now. what if in your younger days. i wish i could see all the pictures since you were young. infant, teenage,youth, up to now the recent pics everything, the man that came into your life! im super duper concious about your life the way your living, thats how much i adore ang like you as a person good lock idol wish you good health hope youll see this message your inspirig for everything i do love you idol! Gayatri Feb 10 2011 1:30 pm I am from India but love Korean dramas. I love Jeong Ae-Ri's acting. She has a screen presence and makes the drama interesting to watch.